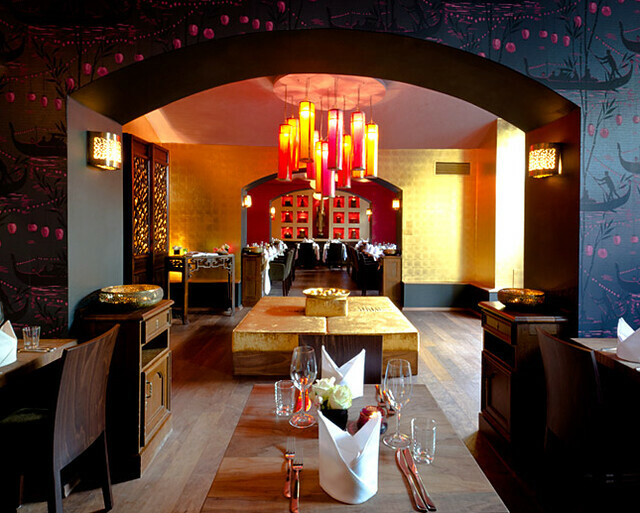 I hadn’t been back in Munich a week when some friends invited me to a belated birthday dinner at Banyan (formerly known as Ha-Long Restaurant) right off of Goetheplatz. I feel like the whole Vietnamese restaurant thing is a bit saturated, and a lot of it seems to be the same ‘ol same ‘ol. Banyan, however, was really good. And it better be, it’s not cheap (but it’s not exorbitantly expensive either) and if the food didn’t match up to the hoity-toity interior and the rather schnös­lig clientele It would have been an obnoxious run of the mill München type place. But the food! I had never heard of the recommended appetizer I had (good sign, No more summer rolls, please!) which was a sort of warm fish jelly (sound gross, tasted good). As a main dish I ordered the whole Dorade which was perfectly cooked and served with a light garlic sauce that just brought me to tears. An icy bottle of Sancerre washed down everything splendidly. If you are looking for great Asian food and a nice/fancy place for dinner one night, check it out.